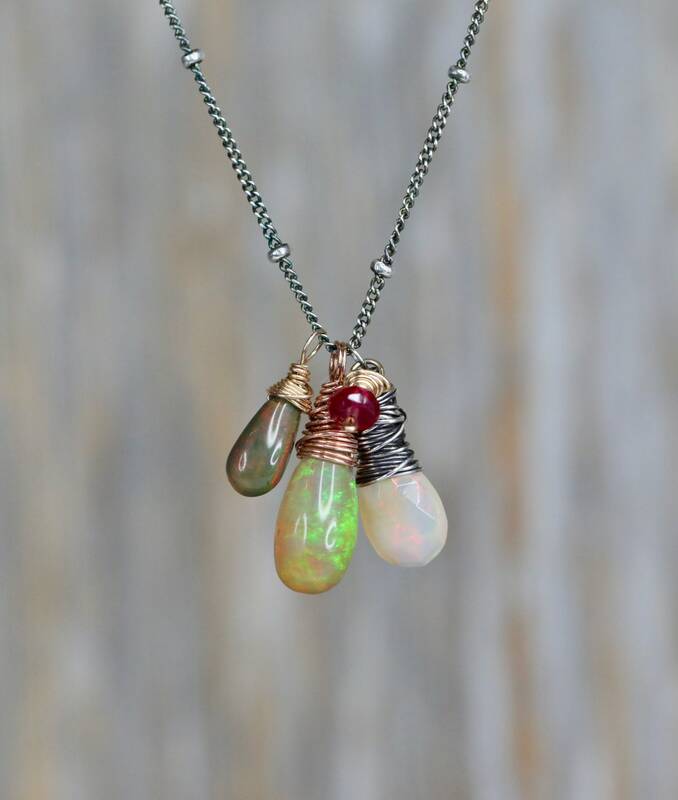 This is a one of a kind all Natural genuine high-quality Ethiopian opal cluster necklace with a small faceted all natural fine Ruby accent. 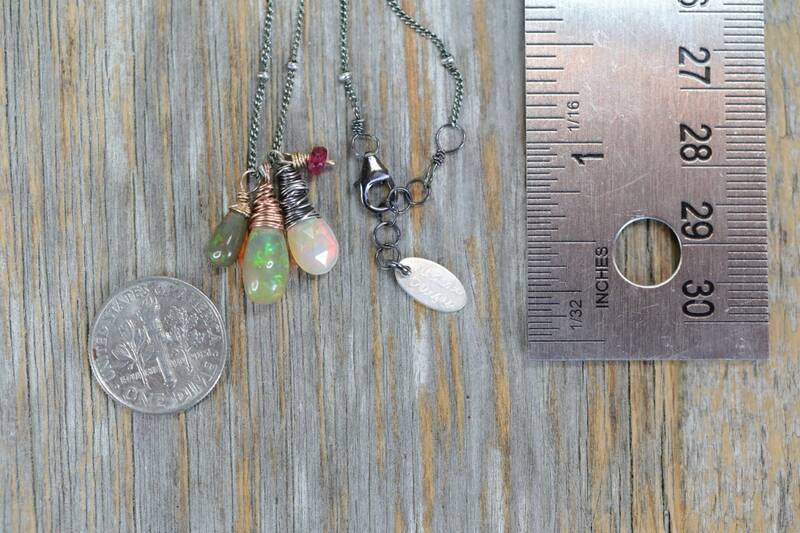 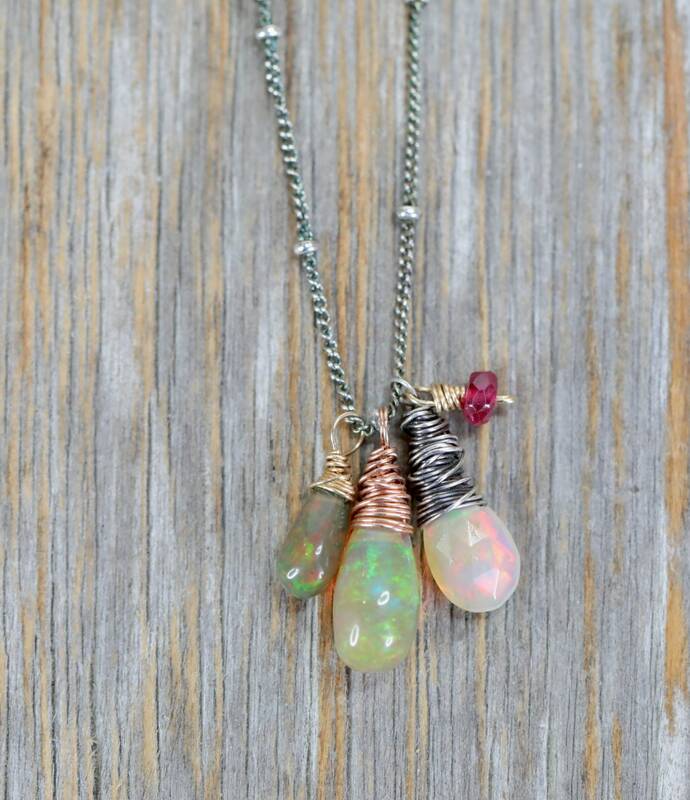 The opals are artisan wire wrapped in both oxidized sterling silver and 14k gold filled for a mixed metal finish. 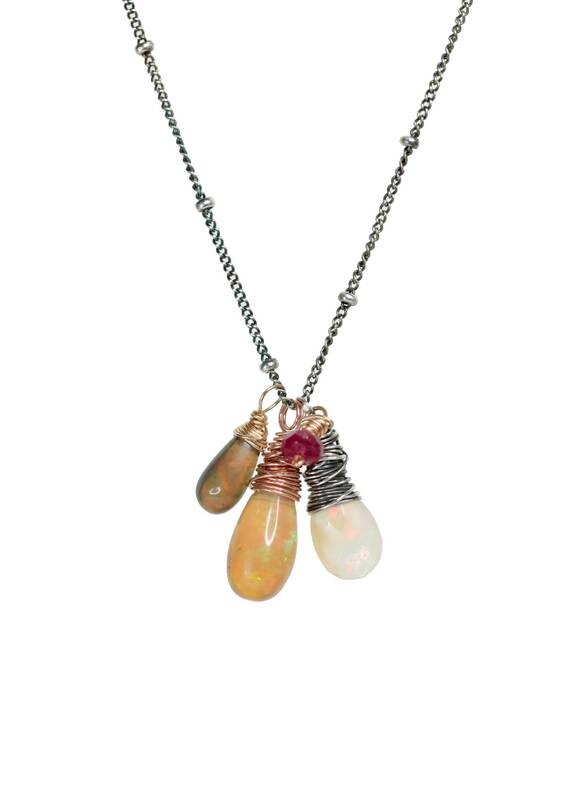 Opals: White Ethiopian Pear shape faceted briolette approx 1.2 carats, honey opal teardrop smooth approximately 2.5 carats , small black smooth teardrop opal and a faceted ruby complete the design.